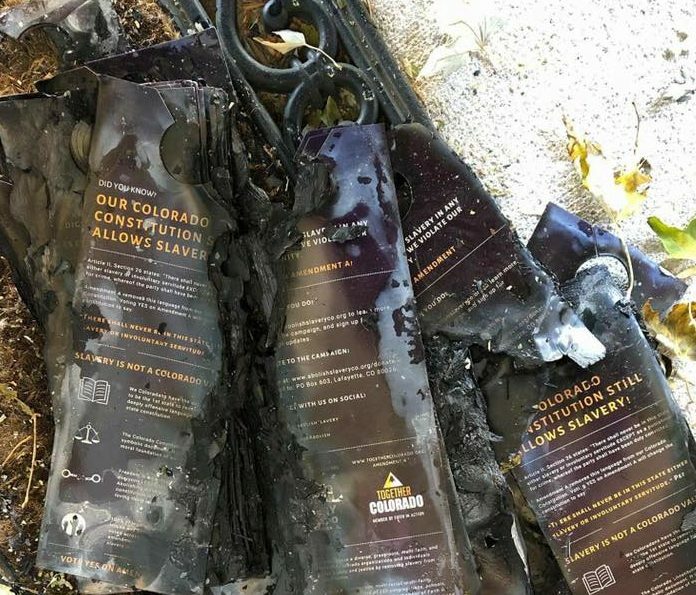 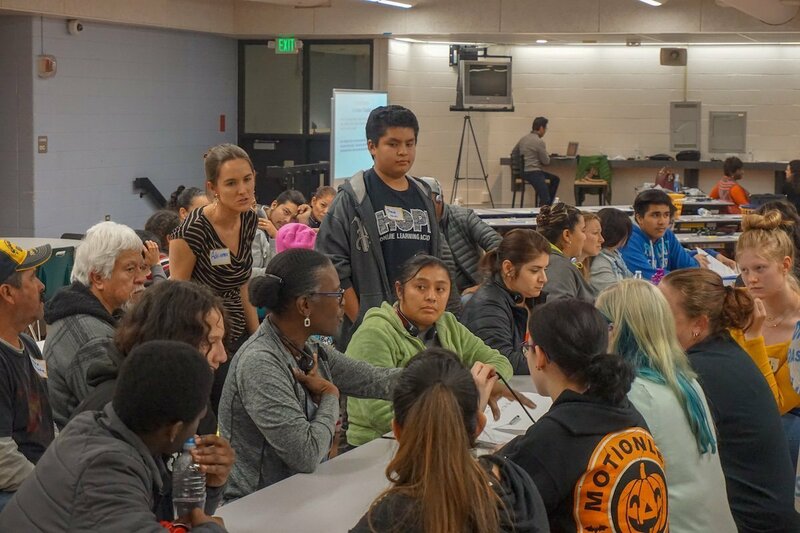 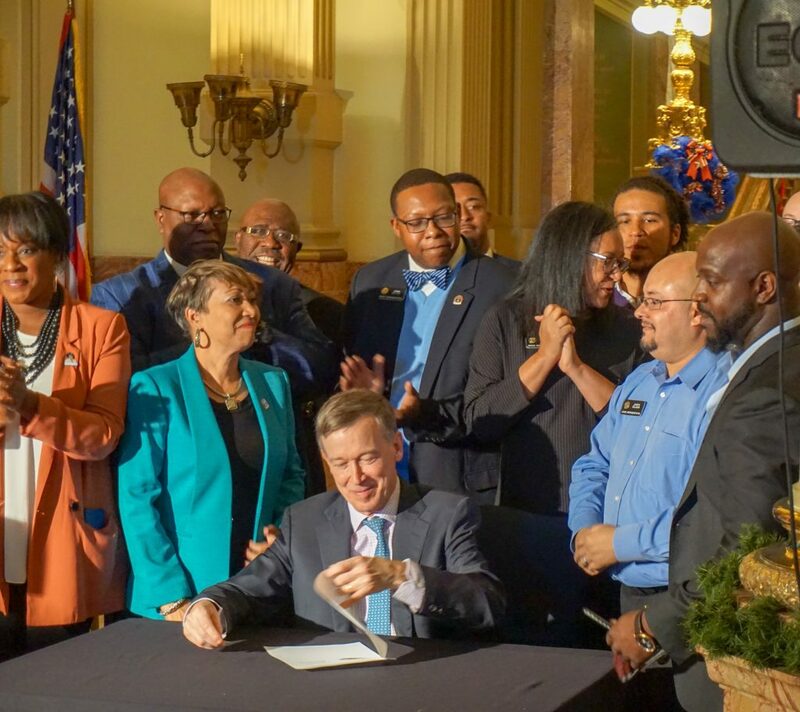 On November 6, 2018, Coloradans voted Yes on Amendment A to remove language from the Colorado Constitution that allowed involuntary servitude and slavery to be legal as punishment for a crime. 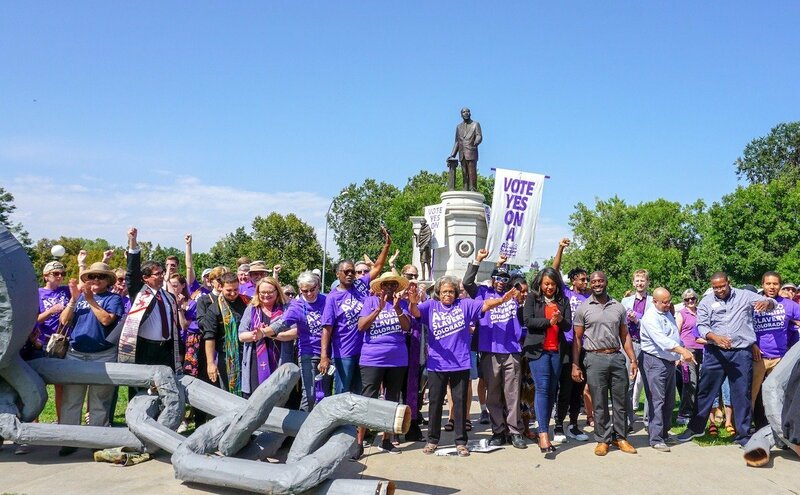 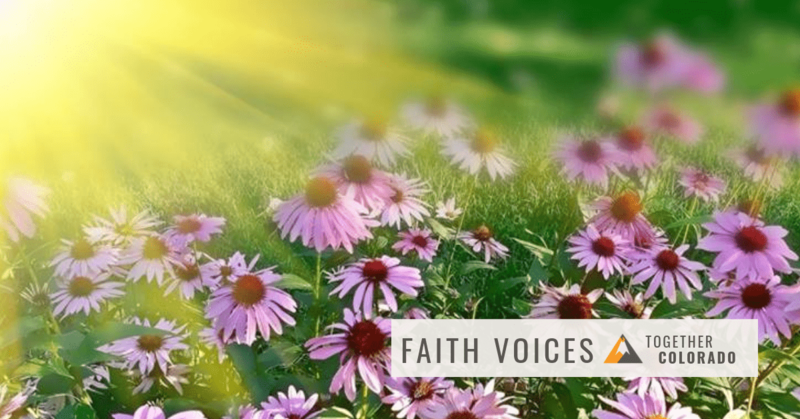 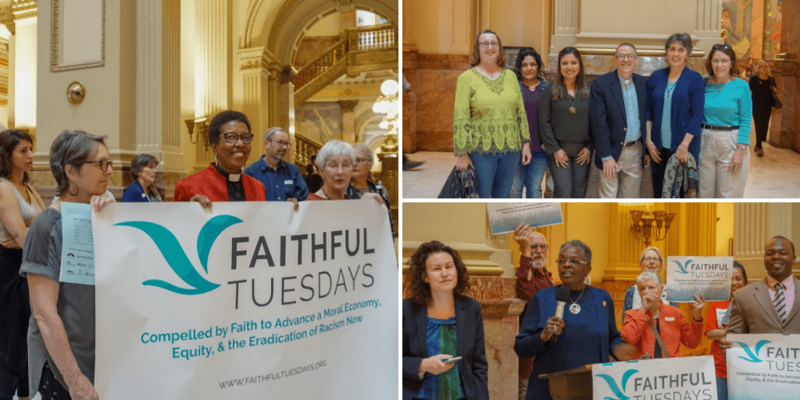 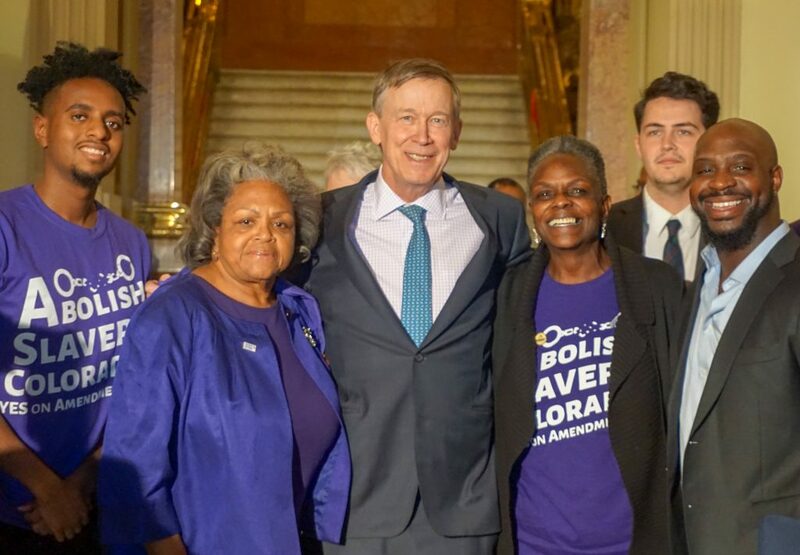 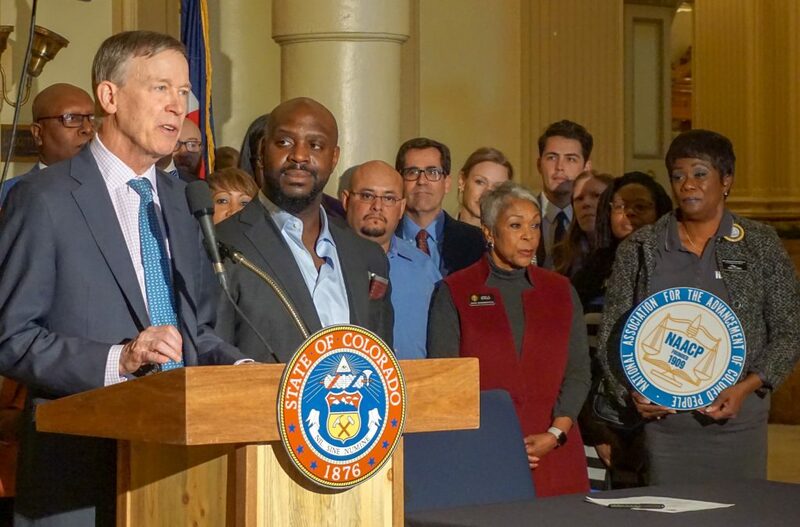 On December 19, 2018, outgoing Governor John Hickenlooper honored the efforts of the Abolish Slavery Colorado Coalition by signing Amendment A into law. 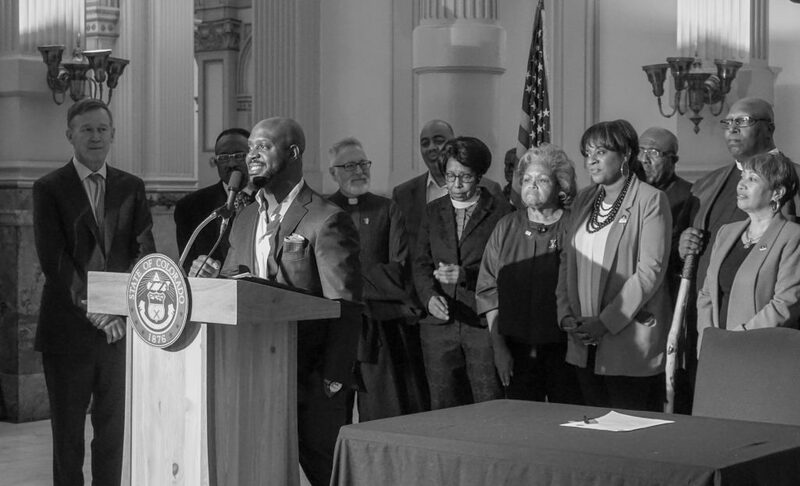 To watch the signing ceremony, click here.